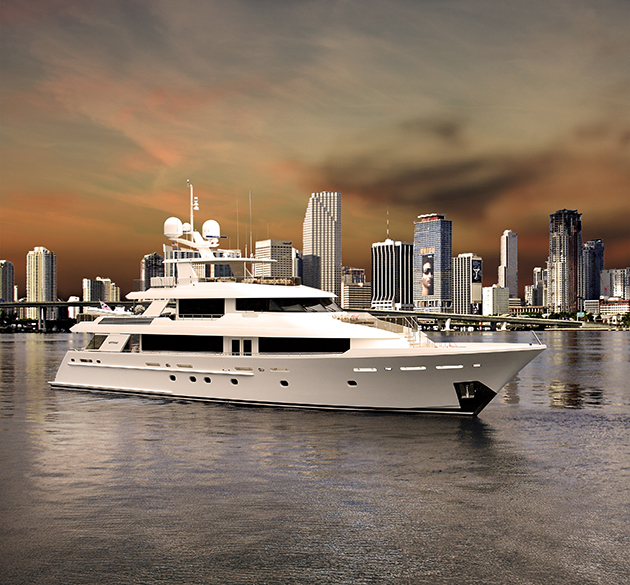 With the Fort Lauderdale Internatioal Boat Show 2015 countdown now on, here are six of the best yachts making their debut in Florida. Why is she so special? Delivered this time last year to her owner, Kismet is making her long-awaited public debut. Elegant yet masculine styling from Espen Øino is complemented by a “champagne and caviar” themed interior by Reymond Langton Design, with a brief to create the perfect party venue yet still double as a family retreat. Look out for Almost impossible to narrow it down, but the top deck with informal alfresco dining, swimming pool, rock garden and observation area in the mast structure really stand out. DATA LOA: 95.2m. Beam: 13.5m. Top speed: 16.9 knots. Range: 6,000 miles @ 12 knots. Guests: 14. Crew: 27. Why is she so special? 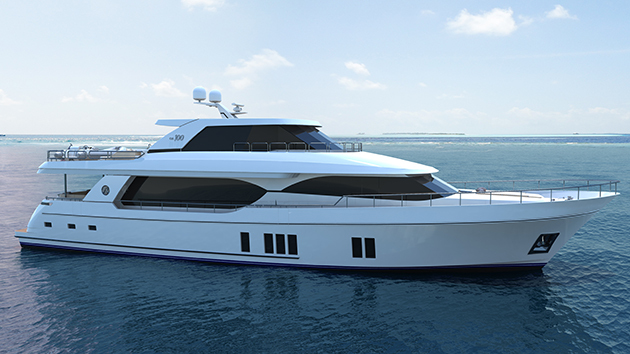 The owner’s brief for a striking, innovative and sporty-looking yacht has been brilliantly visualised by Sinot Exclusive Yacht Design. Rich woods and light stones on the inside create a modern yet classic interior. Mahogany, sycamore, back-lit pure white onyx and many different types of marble throughout the guest areas give the yacht a regal feel. Look out for The skylight in the sundeck canopy, which automatically dims when the overhead sun becomes too strong, allowing for a comfortable amount of natural light all day long. DATA LOA: 60.4m. Beam: 10.8m. Guests: 10. Crew: 12. Why is she so special? Built to circumnavigate the world, she has a range of over 5,000 miles. 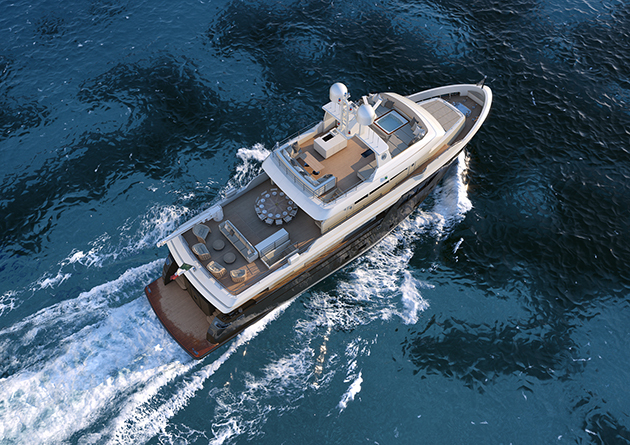 A second hull is being delivered in 2016, while a third is available with an asking price of €8.9 million. 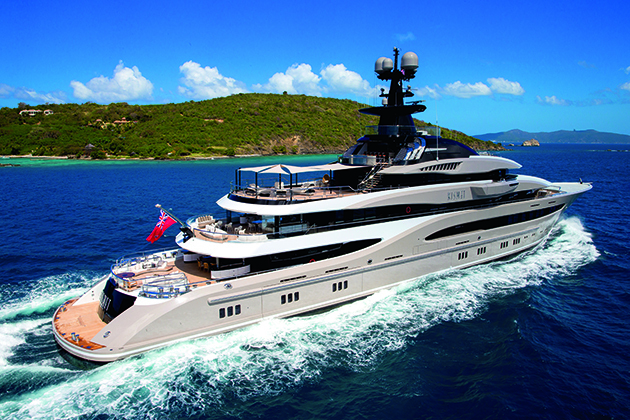 Shown by Denison Super Yachts. Look out for The custom dive centre will make expeditions to tropical climes an unforgettable experience. DATA LOA: 31.0m. Beam: 7.4m. Top speed: 13.6 knots. Range: 5,900 miles @ 10 knots. Guests: 12. Crew: 5. Why is she so special? The latest edition of the W130, with naval architecture by William Garden and exterior styling by Taylor Olson/Westport. 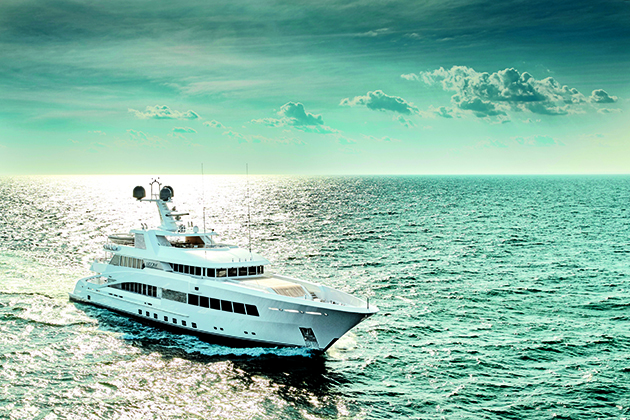 She is for sale, asking $22.495 million. Look out for The voluminous interior spaces. A large salon and dining room ensure stately entertainment, while expansive outside spaces allow for enjoyable cruising in all climates. A five-stateroom arrangement makes her a flexible choice for chartering or for private cruising. DATA LOA: 39.6m. Beam: 7.9m. Top speed: 24 knots. Guests: 10. Crew: 8. Why is she so special? 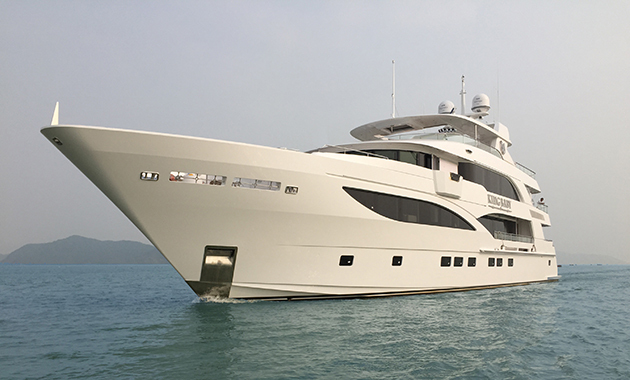 The yacht is IAG Yachts’ biggest yacht to date, and the largest in composite fibreglass to be built in China. Shown by Atlantic Yacht & Ship. Look out for A high-quality interior featuring hand-crafted black walnut woodwork, and Evan K. Marshall’s swooping exterior lines. DATA LOA: 42.7m. Beam: 9.4m. Draught: 2.1m. Top speed: 20 knots. Guests: 10. Why is she so special? The first sky lounge version of the 100 from Ocean Alexander has a contract pending with an asking price of $9.957 million. Look out for The yacht’s huge windows, sociable galley area, and the enclosed area up top that means you can extend your stay on the upper deck. DATA LOA: 30.5m. Beam: 7.0m. Draught: 2.7m. Guests: 8. Crew: 5.